Should I Stay Or Should I Go Now? Answer: STAY!!! One of the hardest things about traveling is deciding how long you should stay at a destination. Everyone has a different opinion about cities, and I can come up with about a million and a half instances on our trip where we stayed too long or not long enough in a location based on advice from friends and family. We tried to combat that by not planning too far ahead so we could leave or stay in a city as long (or short) as we wanted. That gets a bit tough when you travel to popular (a.k.a. 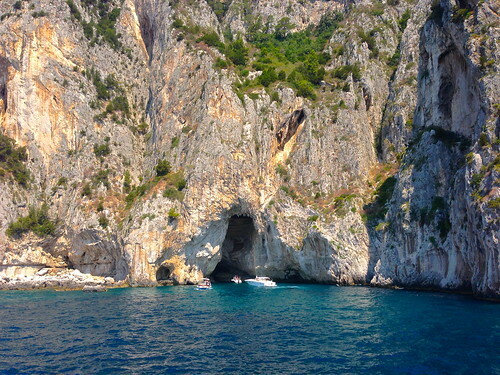 expensive) areas. Hotel and hostel prices are hiked up like crazy and get booked months in advanced. 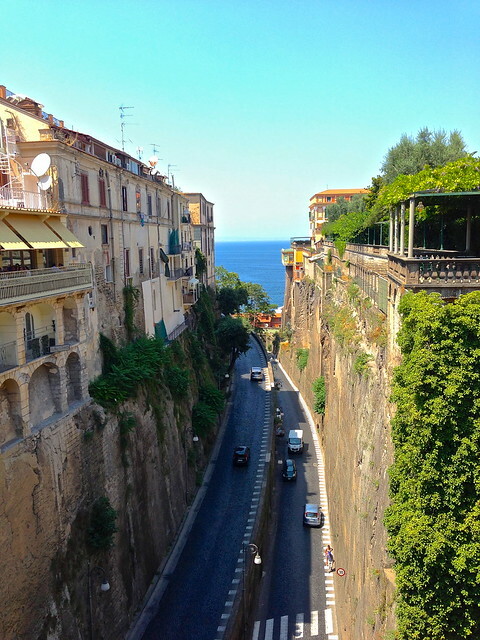 This happened to us after Rome when we decided last minute to head down to the Amalfi Coast before we moved onto Florence. 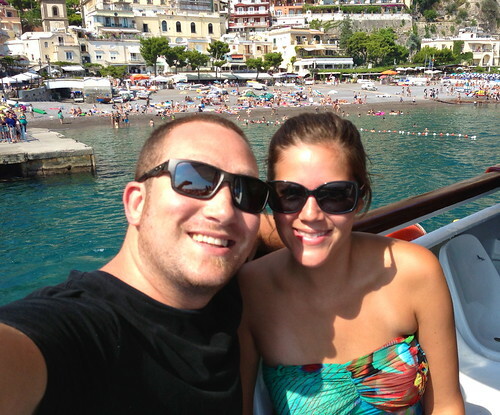 We originally weren’t going to go to the Amalfi Coast because it was just so gosh darn expensive. But after many aggressive emails and Facebook messages from friends and family who said if we didn’t go they would basically disown us, we decided to squeeze in 1 night there. 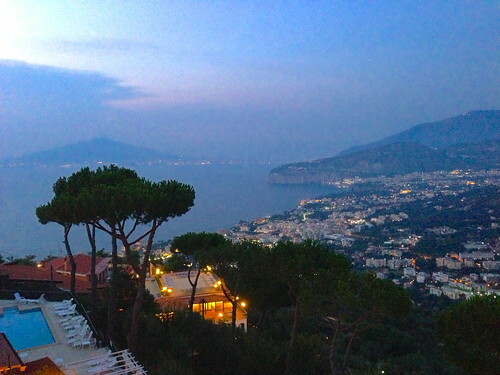 We found a reasonably “cheap” hotel for $106 and were rewarded with one of the best views in the whole wide world. 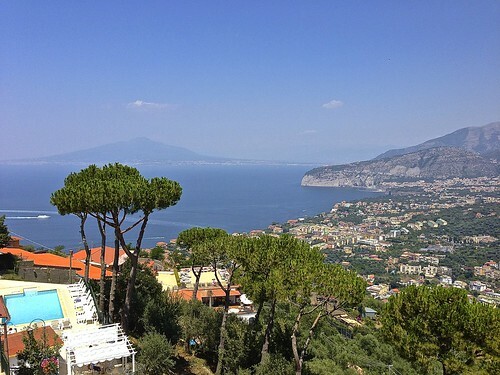 We had to physically tear ourselves away from this hotel to go explore the city of Sorrento, but we did and we were rewarded for our bravery. But of course we came back to our room for sunset. The next day we already knew we made a very big HUGE disastrous mistake in only staying one night. 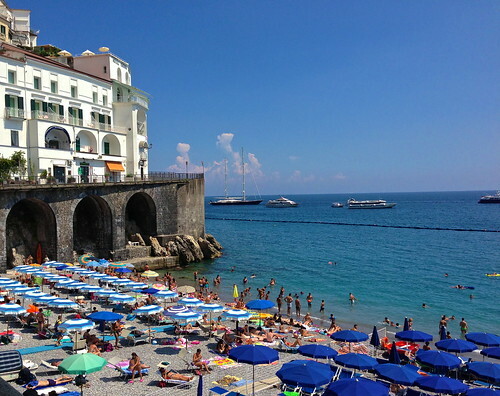 But we still had the day ahead of us before we had to catch our train to Naples that evening. The generous owner of La Terrazze graciously offered to hold our bags for the day and even come pick us up at the harbor with our bags and drive us to the train station later that evening. I love Italians! 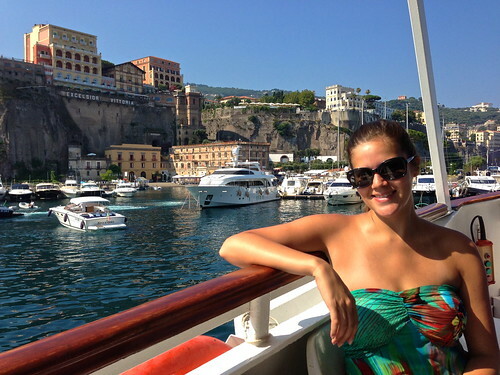 We headed to the harbor to hop on our mini cruise down the Amalfi Coast which was the best $38 (each) we have ever spent. 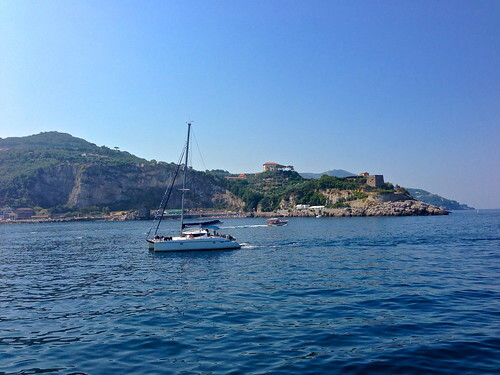 For 7 hours we lounged on sun chairs with our feet up as we cruised past steep cliff sides covered in colorful homes looking over the bluest sea. 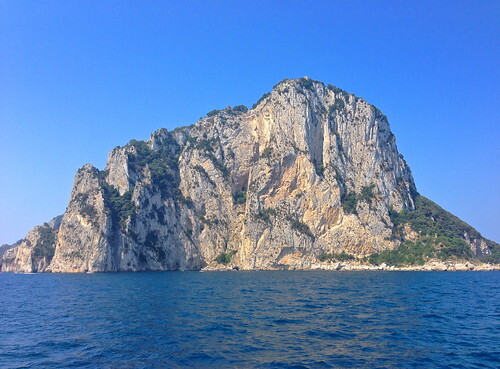 We stopped by Capri for a quick eyeful of the island I now have on my travel wish list to head back to someday. 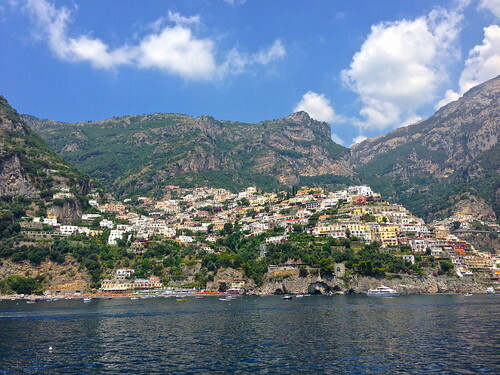 We stopped in Positano where some people got off the boat to explore, but we stayed on so we could have more cruise time, see more of the coast, and have lunch at the next stop. If you decide to drive along the nauseating coast you get to go over this totally sturdy bridge of death. 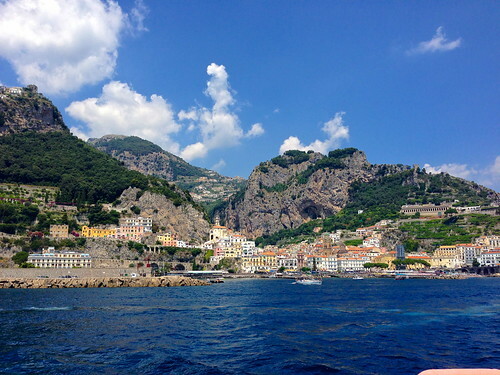 We made it to Amalfi and I was able to snap a couple pictures in between bouts of singing Little Town from Beauty and the Beast and running through all the shops saying Bonjour to people. 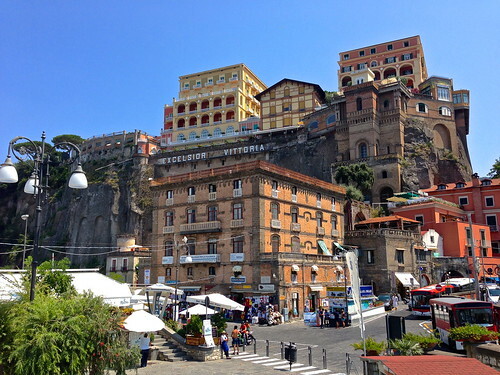 Then Greg reminded me we were in Italy and not France and things got awkward. But then we came across this and realized this is so not the Little Town Belle was singing about. 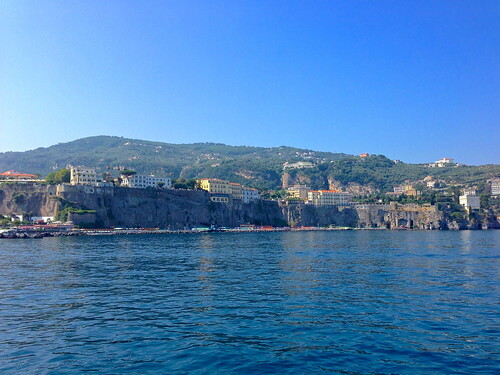 Bye Amalfi! Sorry if I offended you with my singing and wrong language-ness. 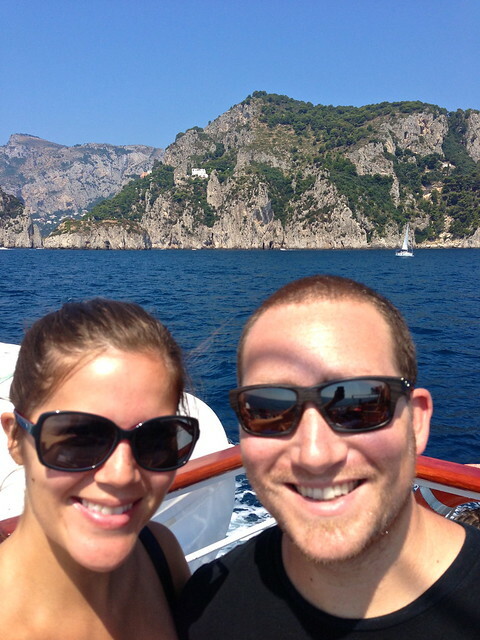 It was a perfect way to spend 24 hours on the Amalfi Coast, but I definitely wish we could have stayed longer. I will be back! These photos are hella EPIC. I’ve only been to Venice, Florence and Rome and that was in the Dark Ages so yeah, wow. Thanks for posting this and these amazing photos!! 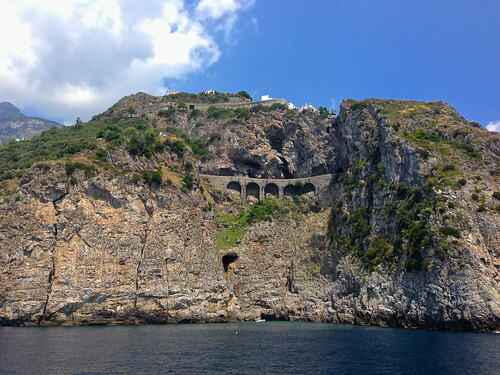 Loved Venice and Rome, but the Amalfi Coast is its own beast. Just beautiful! Defs head back! I really really need to go to there. seriously. 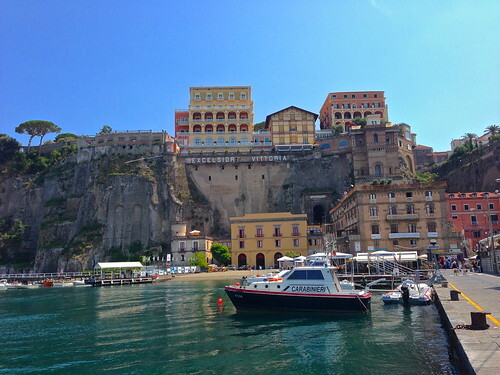 plus to Salerno (where my cousin is a professor) and so on. 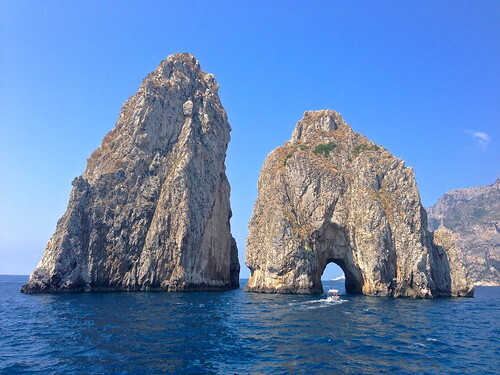 Thanks to you and Greg my interest in Italia has been reignited. 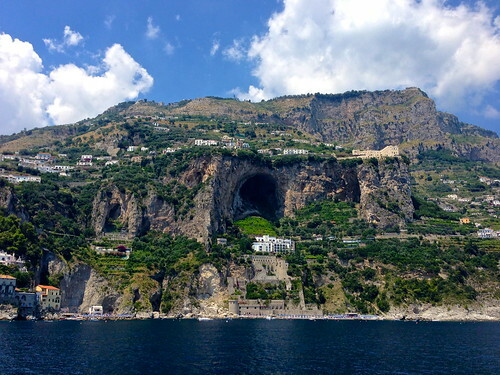 Ever picture I’ve ever seen of the Amalfi Coast makes me want to be there right his freakin’ instant – it looks amazing!! 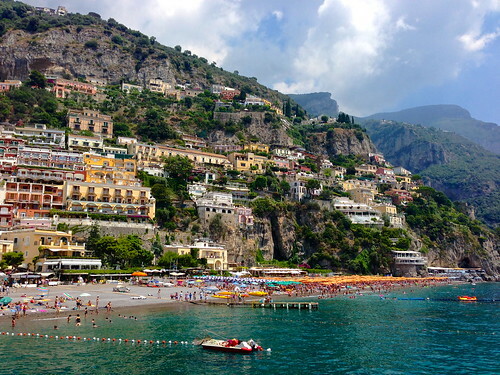 Uhm why have I never heard of the Amalfi coast? What’s wrong with me. 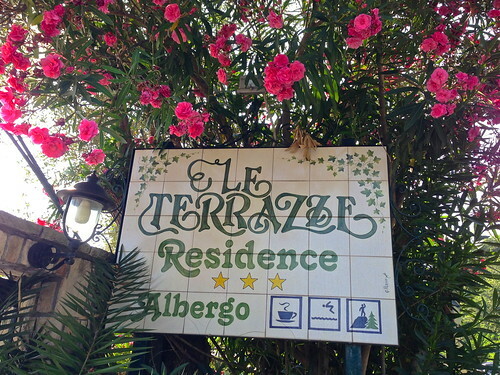 Definitely want to visit here one day and I’ll greet everyone with Bonjour, as an ode to you, the awesome lady who told me about the Amalfi coast. 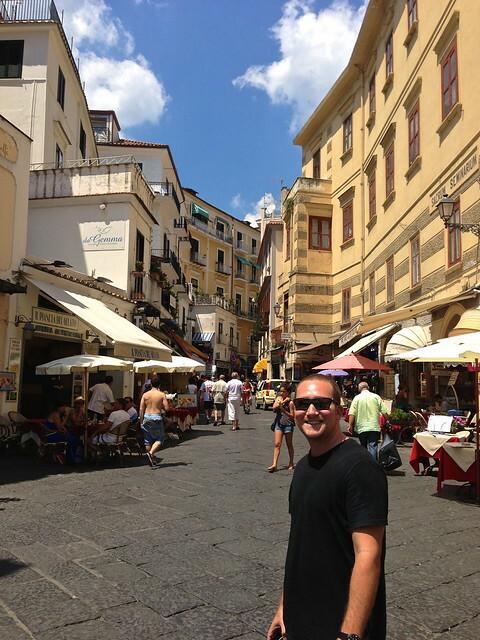 I can’t wait to go back to the Amalfi Coast someday and say bonjour to people!